Macy’s Inc (NYSE:M) stock fell 7.73% on Friday to $19.69 after rival J C Penney Company (NYSE:JCP) warned of poor performance in the third quarter and for the remainder of its fiscal year. Citi Research lowered shares of Macy’s Inc (NYSE:M) to a ‘Sell’ rating from ‘Neutral’ as a result. The analysts explained that the department store chain lacks innovative strategies to compete with similar retailers, a statement that was echoed by CNBC’s Jim Cramer. “The merchandise is not distinguished, the home goods have lower gross margins. There seems to be no way out,” Cramer stated. The retailer suffered a 6.7% decline in revenue in the second quarter. The department store is one of the most famous retailers whose stock has stumbled thanks a declining core business. Citi analyst Paul Lejuez in his Monday morning note stated that Cincinnati-based Macy’s Inc (NYSE:M) has stopped making money. As of Friday’s closing session, the company’s shares have declined by more than 42% this year. The collapse of its retail business will force the firm to punish shareholders in order to maintain its financial health. 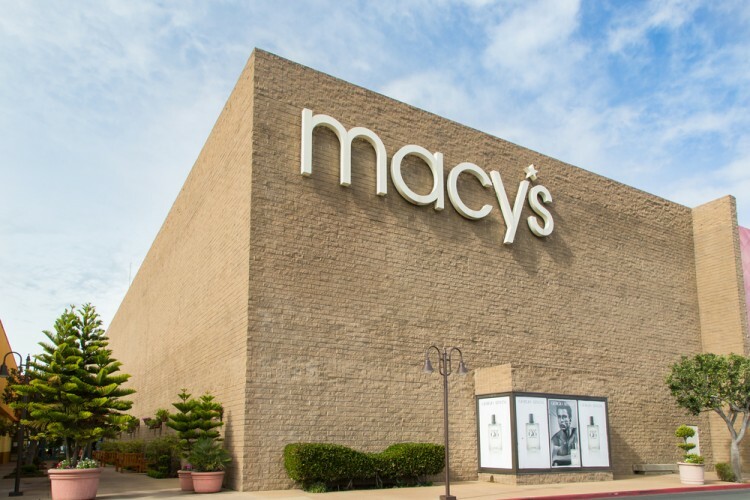 Lejuez predicted Macy’s Inc (NYSE:M) would slash its dividend by 7%. The collapse of U.S retailers has been predicted for awhile now, as consumers prefer shopping online to visiting malls. According to Business Insider, department store chains are estimated to close more than 6,400 outlets this year. A report from real-estate research firm Cushman and Wakefield revealed that from 2010 to 2013, mall traffic declined by 50%. Meanwhile, the U.S Department of Trade reported in April that the rate of online shopping activity increased by 11.9% on a year-on-year basis. This year, Macy’s (NYSE:M) has closed 68 stores, while J C Penney Company (NYSE: JCP) has shut down 138 outlets. Shoe retailer Payless Inc (NYSE:PSS) announced in April that it would close 400 of its 4,400 stores worldwide.